Hydrochloric Acid Storage Tanks are manufactured from XLPE, HDPE, FRP and rubber lined carbon steel to 1.9 SG. Secondary containment is required. Thermoplastic fume scrubbers and vents should be used as vapors are a regulated air pollutant. Tank capacities range from 35 to 20,000 gallons. Prices range from $300 to $150,000. Commonly known also as muriatic acid, hydrochloric acid is a strong, mineral acid known for its corrosive properties and general effectiveness across applications. Obsolete historical names for HCl include chlorohydric acid, hydronium chloride, and spirits of salt. The chemical formula for hydrochloric acid, HCl, represents the ionic bond between the elements of hydrogen and chlorine to form the compound hydrogen chloride, a gas in its anhydrous form. HCl is an aqueous solution made from this hydrogen chloride gas dissolved in water. One of the most stable industrial acids, HCl still presents significant corrosion hazards and storage difficulties. 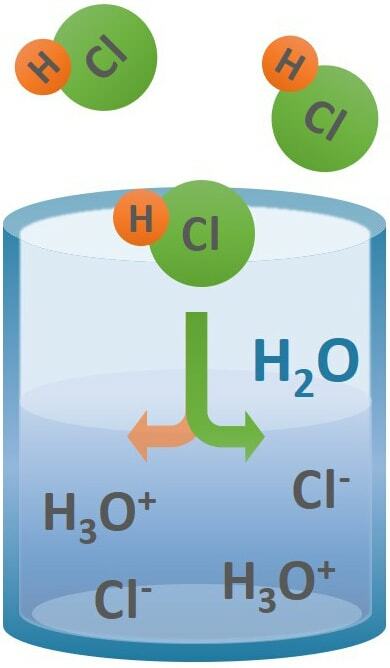 When dissolved in water, toxic hydrogen chloride gas will completely dissociate into its constituent ions to form hydrochloric acid. Aqueous HCl has water-like fluidity, color and appearance unless impurities such as iron (III) chloride are present that cause the solution to turn slightly yellow. Hydrochloric acid has a sharp, pungent, quickly-irritating odor that increases in potency and hazard with rising solution concentrations. Traditional HCl concentrations are manufactured within the 31.5% to 38% weight/weight (wt%) range. Lower strength solutions are produced through dilution. Concentrated grades are considered 35-38 wt% HCl and are considered fuming hydrochloric acid due to the release of HCl gas from the solution. Higher concentrations are chemically possible but the properties of HCl make handling and long-term storage of these concentrations difficult due to necessary physical requirements, the generated fumes, and likelihood of evaporative loss. The pH of an HCl solution will be low, even for dilute mixtures, with a pH around zero or below to be expected for pure, concentrated solutions. The above reaction establishes an equilibrium but chemical properties and reactivity significantly favor production of the hydronium and chloride ions. The equilibrium shifts more to the production of HCl gas with increasing hydrochloric acid concentrations, (and also heat), eventually leading to fuming hydrochloric acid concentration strengths due to evolving gas vapors. Fumes from HCl solutions are HCl gas and are considered noxious and potentially corrosive. How Should Hydrochloric Acid Be Stored? Successful hydrochloric acid storage incorporates materials and components resistant to the strong acid’s corrosive effects as well as methods to mitigate any potential HCl vapors. The container, gaskets, bolts, fittings, and further equipment as applicable must be resistant in order to maintain their engineered integrity when housing bulk quantities of HCl. Storage tanks and accompanying components should be of material that studies have proven their durability. The fuming nature of HCl, especially of increased concentrations, is another important factor in bulk HCl storage as the gaseous fumes can be corrosive to the immediate tank environment. Hydrochloric acid is considered a volatile liquid and it produces corrosive vapors at ambient temperatures. HCl storage tanks should have vent scrubbers, as applicable; to ensure any emissions conform with governmental standards since HCl gas is a regulated air pollutant. XLPE tanks are recommended but HDPE, LDPE, FRP, rubber-lined steel, and polypropylene tanks can also successfully store HCl. Total fluid capacity can affect recommended storage tanks. Tanks should be made to 1.9 specific gravity. PVC fittings, Hastelloy bolts, and Viton® gaskets are recommended. Hydrochloric acid vapors are corrosive and hazardous, as well as a regulated emission. Ensure airtight manways and connections. Employ fume scrubbers and/or vents for HCl vapor mitigation. Thermoplastics or FRP are common material choices. Secondary containment measures are required for bulk quantities of hydrochloric acid due to its chemical hazards. Engineering standards must contain 110% of total HCl tank system volume in the event of a release. Store hydrochloric acid away from heat sources, direct sunlight, and incompatible materials due to the potential for evolving vapors and hazardous reactions. HCl is considered inherently stable without degradation. Common HCl concentration freezing points indicate freezing is not a general concern. All hydrochloric acid tanks should be engineered to withstand the pressure-stress generated by evolving HCl vapors and the back pressure of the scrubber, whether in long-term storage, in product transfer, or in product refilling. Tank vents generally should be at least double the tank inlet diameter. Accompanying HCl fumes should always be considered and mitigation-efforts incorporated into successful HCl storage tank systems. The chemical density of hydrochloric acid is around that of water, making it generally lighter than other common industrial chemicals. Even though the density is low, storage tank specific gravity ratings of at least 1.9 are still recommended due to the hazards and vapor pressures of muriatic acid. You can request a quote for a hydrochloric acid tank directly or contact us to discuss your project. Polyethylene tanks made of cross-linked polyethylene (XLPE), high-density polyethylene (HDPE), and low-density polyethylene (LDPE) are common storage solutions for hydrochloric acid that are both cost-effective and chemically-resistant. While the three forms of poly tanks can successfully store hydrochloric acid, some recommendation exists for the use of XLPE tanks. 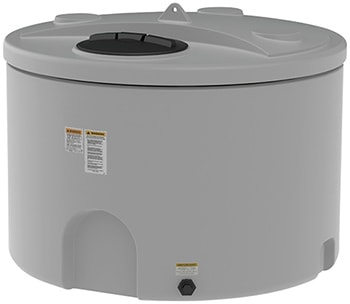 For poly tank HCl storage, only tanks up to 12,500 gallons are safely applicable. Consider using multiple tanks when operating capacity needs exceed 12,500 gallons. Snyder Industries, Inc., in their position statement, recommend tanks of 1.9 specific gravity rating, PVC fittings, Viton® gaskets, and Hastelloy bolts. Polyethylene tanks—most notably XLPE—are among the top tank-materials recommended for bulk hydrochloric acid storage and offer cost-effective service longevity. As with most outdoor chemical storage in poly tanks, UV-stabilizing resins are recommended to resist the damaging effects of sunlight on the storage tank. Product stored in or delivered to polyethylene tanks should never exceed 100oF for tank structural considerations. FRP tanks have been used with great success in storing hydrochloric acid. FRP tanks have high strength-to-weight ratios with potentially long life cycles and low maintenance costs, according to FRP-resin producer Ashland, Inc. Effective hydrochloric acid FRP tanks are fabricated and lined with a corrosion resistant barrier. The selected tank resin is important. It must be chemically resistant to hydrochloric acid and mechanically durable against the increased pressure-stress that can arise from HCl vapors or during product transfer. FRP tank effectiveness is dependent upon proper construction with an HCl-resistant resin and corrosion barrier. Routine tank inspection and maintenance, such as re-lamination of the corrosion-barrier, is also important. Polypropylene or PVC are additionally effective material choices for FRP linings in hydrochloric acid storage. Rubber-lined steel tanks are generally more expensive than the other listed tanks. Steel tanks for hydrochloric acid storage are more common in applications of 15,000 gallons or more due to the increased structural integrity of the metal. The steel itself is susceptible to the corrosive activities of HCl. The corrosive activity between the acid and metal will generate hydrogen gas, a potentially flammable, explosive, and corrosive gas. An HCl-resistant interior lining is required to prevent corrosion. The integrity of this protective layer must be maintained. The Chlorine Institute recommends natural gum rubber for hydrochloric acid steel storage tanks. Recommendations from the Occidental Chemical Corporation say HCl steel tanks should be constructed of ASTM-283 Grade C steel or equivalent, and the interior rubber-lining should be able to withstand a maximum temperature of 160°F with at least a 3/16 inch thickness. Steel tanks are sometimes a preferred choice for large storage applications in high-throughput work areas where potential tank damage due to worker/equipment activity is more plausible. Are among the least effective in HCl storage when compared to the storage options presented above, but are still more resistant to muriatic acid than other, non-mentioned storage solutions. The tanks begin to lose their chemical resistance when HCl concentrations approach and exceed 20%. Polypropylene tanks are best reserved for smaller quantities (5 – 45 gallons) and more dilute hydrochloric acid solutions. Hydrochloric acid-generated vapors are corrosive and hazardous to health and workplace equipment. Non-mitigated HCl vapors are fully capable of causing health effects and corroding sensitive materials. All service-ways and application-lines should be made of HCl-resistant material, otherwise the corrosive fumes generated from the stored/utilized HCl solution can compromise system connections and structural integrity, potentially leading to storage failure, equipment damages, or hazardous injuries to workers. Hydrochloric acid’s characteristic to generate corrosive HCl gas is a main concern. Strong HCl solutions have high vapor pressures. When stored, hydrochloric acid can absorb heat from its environment or from sunlight. Increased temperatures will cause increased amounts of HCl gas to leave solution. HCl released to the atmosphere will react with water vapor to produce an HCl acid mist. This situation is exacerbated when a solution is heated to near boiling. The production of HCl gas can cause hazardous vapor buildup when stored incorrectly or in a sealed container. For this reason, when storing bulk HCl quantities, fume vents and/or fume scrubbers are a necessary recommendation for safe storage, handling, and transfer. According to guidance from the U.S. Environmental Protection Agency, fume scrubbers are an approved method of HCl vapor mitigation and often accompany bulk hydrochloric acid tanks. Tank vents come in varied size and material, but are a component of successful and safe HCl storage. Thermoplastics and FRP materials are acceptable materials of construction for HCl fume systems. Common media employed in HCl fume systems are water or a solution of sodium hydroxide. Vent engineering specifications of size, material, and location should be determined on a per-application basis. When transporting or transferring large quantities of hydrochloric acid to a storage tank, a fume scrubber or other means of fume/pressure dissipation is needed to mitigate the increased pressure arising from displacing saturated vapor spaces. Without proper mitigation, the pressure increase can lead to fitting or tank failure, which can result in a hazardous hydrochloric acid release. The Surpass Incident reported by the U.S. EPA is an example of why HCl-generated vapors and pressures need to be considered in successful storage. Airtight manways should be maintained on bulk storage tanks. HCl-generated vapors will develop at ambient temperatures and the rate of produced gases will increase as temperatures and HCl concentrations rise, therefore, a proper venting system must remain intact and functioning properly or a venting schedule performed regularly. Entering the tank for any reason—even post-use, visibly-empty tanks—is not recommended due to the toxic, corrosive dangers of muriatic acid and its vapors. Tanks should be completely drained as required to minimize or eliminate the need for entering and/or cleaning the tank. Bulk storage must maintain satisfactory secondary containment measures to alleviate exposure concerns in the event of a release. Corrosion-resistant containment basins, sumps, and double-walled tanks are acceptable forms of hydrochloric acid secondary containment. Concrete containment dikes with acid-resistant coatings are another common choice. Hydrochloric acid will corrosively attack un-lined concrete. Engineering safety standards typically require secondary containment measures be capable of holding at minimum 110% of total volume for a tank system, meaning collective volume when multiple tanks are stored in the same area. Local regulatory statutes and codes may place additional requirements upon HCl secondary containment systems. Always verify chemical storage systems are designed and maintained according to local regulating law codes. The following data tables are a compilation of physical and chemical properties for muriatic acid. Of particular note is HCl’s density values as they remain low even for high-end solution concentrations. The vapor pressure of HCl rises with concentration, indicating an increasing volatile nature accounting for the vapors such solutions can generate. Molarity values are approximations but demonstrate the low pH values of hydrochloric acid solutions. Hydrochloric acid is a monoprotic molecule with an acid-dissociation equilibrium constant (Ka) three orders of magnitude greater than sulfuric acid, indicating HCl is both strong and effective as an acid. The Ka value for HCl is reported at 1.3 x 106 where sulfuric acid is 1.0 x 103. HCl is a very strong acid that is corrosive and hazardous. Its reactivity is primarily with alkaline substances and does not dehydrate as sulfuric acid. The presented data table and point graph exhibit some of hydrochloric acid’s properties. Of note are the density, freezing/ boiling points, and solution strength concentrations. The density of 10% hydrochloric acid is low, 1.048 g/cm3, near that of water. Density remains low even as concentrations increase. This is noteworthy when it comes to considering chemical storage, weight capacities, and engineering details of holding tanks. The overall mass of HCl solutions is less than the more dense industrial acids. From an engineering-perspective, this may allow for different storage considerations or hazards. 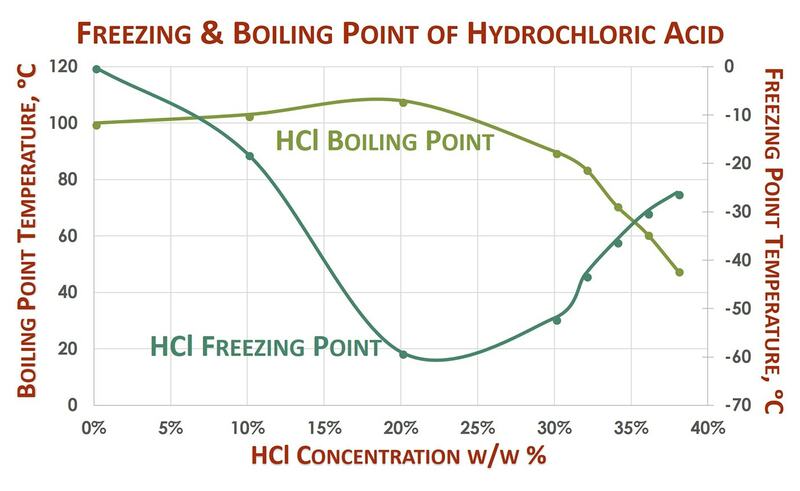 The freezing point curve of hydrochloric acid drops significantly from the freezing point of water to a low of -74 oF occurring around 20% concentration, and then increases with solution strength to peak at -15 oF at 38%. The boiling point shows a high boiling azeotrope at 20 wt% HCl. Boiling points decrease with concentrations above 20% HCl, decreasing quickly around 30% HCl. Between 30% and 38%, the boiling point drops 76 degrees to a low of 118 oF, indicative of the volatility of greater HCl concentrations. Concentrated hydrochloric acid has a lower boiling point and increased vapor pressure. As the solution warms, as from outdoor storage, HCl dissolved in solution will more easily volatilize and form toxic, gaseous hydrogen chloride above the solution surface. Hydrochloric acid is classified as a stable molecule. When stored, HCl is considered to last indefinitely without denaturing, decomposing, or losing its strength and chemical properties when stored by itself. The greatest source of decreasing solution-strength is through volatilization, as with fuming HCl or conditions that favorable stimulate vapor production (i.e. increased temperatures, decreased pressures). The chemical is not considered sensitive to the effects of ultraviolet energy, although the sun’s heat-contribution is a storage concern due to the increased potential for HCl gas formation. Hydrochloric acid should be stored away from direct sunlight, heat sources, and separated from incompatible materials and chemicals. As a strong acid, HCl will react exothermically (generating heat) with organic/inorganic bases, with carbonates and hydrogen carbonates to yield carbon dioxide, and it will react with many metals to generate flammable hydrogen gas, such as iron, tin, aluminum, zinc, calcium magnesium, and the alkali metals. Muriatic acid will hazardously generate toxic or flammable gases when reacted with borides, carbides, phosphides, and sulfides. Violent reactions are known to occur between hydrochloric acid and acetic anhydride, ammonium hydroxide, calcium phosphide, sodium hydroxide, 2-aminoethanol, ethylenediamine, perchloric acid, chlorosulfonic acid, propylene oxide, silver perchlorate/carbon tetrachloride, calcium carbide, rubidium carbide, vinyl acetate, magnesium boride, and mercury(II) sulfate. Mixing HCl with concentrated sulfuric acid will generate significant HCl vapors. This process is used to “dry” hydrochloric acid to yield anhydrous HCl. For further considerations, see CAMEO Chemicals, a division of the National Oceanic and Atmospheric Administration (NOAA). HCl is known to be extremely corrosive to common construction metals such as carbon and stainless steels, aluminum, copper, nickel, and bronze. Contact should be avoided, and the listed metals should not be used for HCl storage or other such applications. How is Hydrochloric Acid Used? Hydrochloric acid is used across many industries for a variety of applications and may be the most-known inorganic acid. HCl is an important industrial and commercial acid that is employed in food-industry productions, oil recovery, metal refining, ore processing, chemical production, and cleaning products. Hydrochloric acid is versatile and employed across various operations. Its strong acidic nature, stability, low health hazard, low reactivity, and catalytic capabilities contribute to HCl’s usefulness and versatility. The following pie graph as well as application-excerpts from PubCHEM provide some insight into HCl categories and example applications. Steel Pickling: The process of removing metal oxides and scale from steel prior to further processing is known as “pickling”. The process converts oxides present on the metal into water-soluble compounds that can be rinsed off. Hydrochloric acid chlorinates the metal oxide to render it soluble and allow for the effective removal of the oxide from the metal’s surface. A common product of the steel pickling process is iron(III) chloride (ferrous chloride, FeCl3) which was long used in other applications, particularly wastewater flocculation, but the concentrations of other heavy metals from the pickling process has diminished the practice. Oil Well Acidizing: Known as hydraulic fracturing, oil well acidizing is the process of injecting a solution of muriatic acid into an oil well to dissolve minerals, soften and initiate cracks in rocks, and encourage the flow of crude oil or gas from the well. Utilized HCl concentrations vary but 15 wt% solutions are common. Food Industry: The largest percentage of the food industry’s HCl use is in high-fructose corn syrup production. HCl is used as an “acid-enzyme” in product synthesis reactions to acidify a cornstarch solution and begin carbohydrate breakdown. Muriatic acid is also utilized in the manufacture of aspartame, gelatin, fructose, citric acid, and hydrolyzed vegetable protein. Chemical Synthesis: Chemical synthesis reactions involving HCl are divided into two groups based upon the chemical category of the end-product, which is either an organic (carbon-containing) compound or an inorganic (non-carbon-containing) compound. Organic Compound Production: Perhaps the largest application of HCl organic compound production is in the manufacture of polyurethane. HCl functions as a catalyst in the generation of MDI and TDI (isocyanates) in polyurethane manufacture. Examples of other organic compounds produced are Bisphenol-A (BPA), activated carbon, and ascorbic acid (vitamin C). Inorganic Compound Production: The greatest portion of HCl inorganic compound production is in calcium chloride(CaCl2)synthesis. Calcium chloride’s central use is as a deicing agent for roadways during demanding winters. CaCl2 is produced by reacting limestone, (calcium carbonate, CaCO3), with hydrochloric acid to neutralize the acid and yield the desired calcium chloride salt. Other inorganic compounds produced using hydrochloric acid includes water treatment and paper production chemicals, such as iron(III) chloride and polyaluminium chloride (PAC), which serve as flocculation and coagulation agents in the treating of water, both sewage and potable and in paper production. Other Applications: Hydrochloric acid is also used in the production of fertilizers, dyes, and cleaning products. HCl has a function in tin and tantalum ore refining, in producing nickel(II) chloride for electroplating applications and in generating zinc chloride for galvanized steel. 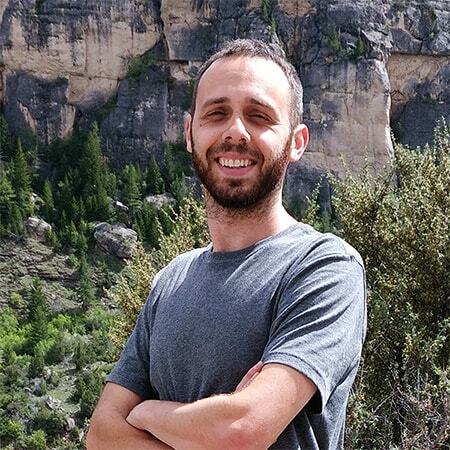 HCl regenerates ion-exchange resins by replacing built-up cations with hydrogen ions, which rejuvenates the exchange resin, re-enabling it for further use. The pharmaceutical industry sees significant hydrochloric acid utilization through chemical syntheses designed to form HCl-salts of active pharmaceutical components, allowing what would be an otherwise insoluble drug product to become soluble in the human body and perform its designed function. HCl is one of the strongest chemicals commercially available within cleaners. Annually, the world produces at least 20 million tons of hydrochloric acid. Hydrochloric Acid occurs naturally within the digestive gastric juices present in many animal stomachs, including humans. The majority of HCl is manufactured on-point (on-site), and a portion of HCl produced this way comes as the by-product of another process, a concept termed captive-use. Often within industrial settings, the hydrochloric acid needed for one application is supplied by on-point production through a captive-use process. HCl produced and utilized in this manner never leaves the site location nor requires purchase and delivery from an outside source. There are at least five traditional methods for hydrochloric acid synthesis. The following order is according to most common practice in the U.S.
Hydrochloric acid can also be produced by burning the chlorine gas with hydrogen gas to yield hydrogen chloride gas, which will become hydrochloric acid when dissolved in water. As stated previously, HCl is generated as a by-product of another chemical process. The most notable of these processes is the chlorination of organic compounds. Reportedly, about 40 different industrial processes generate HCl as a co-product where the largest percentage occurs from the production of polyvinyl chloride (PVC). Also known as the salt-sulfuric acid method, the Manheim Process reacts a salt—typically sodium chloride or potassium chloride—with sulfuric acid at temperatures up to 1,100oF, where the reaction drives the formation of hydrochloric acid and a sulfate-salt. Similar to the Manheim Process, the Meyer Process reacts sodium bisulfite with sodium chloride at high temperature ranges of 750oF- 1,450oF to produce HCl. The Hargreaves Process utilizes steam in an exothermic reaction with sulfur dioxide and salt to generate hydrochloric acid. Hydrochloric acid is a strong, monoprotic acid with a low pH capable of corrosive activities. In a general calculation for strong acids, the pH of the solution is equal to the negative log of the solution’s molarity: pH = -log[molarity], and as such, HCl solutions of 1M (M, for molarity) or greater will have negative pH values, indicative of the health and safety hazards the chemical presents. Hydrochloric acid is capable of corrosively attacking the eyes and skin, which can potentially lead to blindness or permanent tissue damage. Severe exposures can be fatal. Acidic vapors generated from HCl solutions - i.e. fuming hydrochloric acid - can quickly irritate mucosal membranes and lead to coughing and difficulty in breathing. The odor and pain thresholds for HCl mists are very low, meaning a person’s nose can detect even minute concentrations of HCl in the air. Upon short-term exposure, HCl vapors can harmfully affect the respiratory tract, eyes and nose, and can cause inflammation or pulmonary edema, which can be fatal. Whenever handling HCl, concentration-specific Safety Data Sheets and federal guidelines will outline the full personal protective equipment that should be worn to prevent exposure. The hazards of a strong acid should never be underestimated. Even dilute solutions of muriatic acid can cause permanent eye damage without safe handling and if prompt reactive measures are not taken upon exposure. With higher concentrations and/or increased temperatures, proper venting/ventilation is a requirement to avoid occupational exposure to any evolved hydrogen chloride gas. Always follow regulated, safe-handling recommendations. Hydrochloric acid is an inorganic strong acid utilized across various applications. Even when dilute, it can be corrosive and dangerous. Molar concentrations greater than one will bring solution pH beneath zero. The chemical itself is stable but has the potential for hazardous reactions with various other chemicals and materials. When purchasing a storage container, hydrochloric acid’s corrosive capabilities must be considered and secondary containment must be in place in the event of a failed component or storage tank. The fume-generating characteristic of HCl must also be considered and properly controlled for successful storage of this strong acid. Always communicate your needs and specifications directly with tank manufacturers when purchasing hydrochloric acid storage tanks. Ensure individual manufacturers validate tank and fitting materials prior to purchase and application. Always handle HCl according to federal safety guidelines and with accommodations for HCl’s fuming nature, (see the NOAA for further safety information concerning Hydrochloric Acid). Contact Protank if you need assistance or would like more information concerning Hydrochloric Acid storage or secondary containment. We specialize in the distribution and customization of HCl storage solutions in the United States.